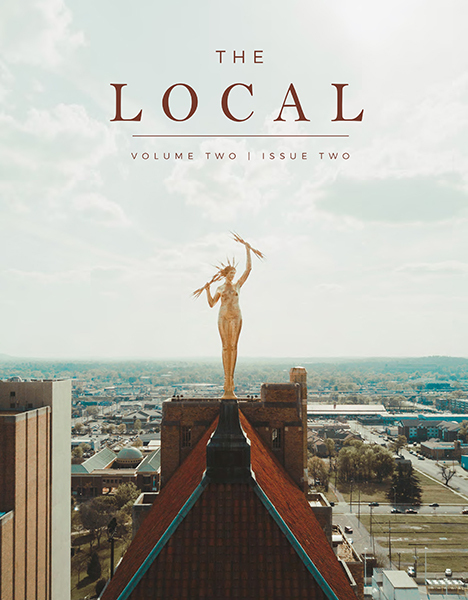 Samford University’s The Local student magazine earned “honorable mention” in the Association for Education in Journalism and Mass Communication’s prestigious annual competition in July. The AEJMC’s magazine division competition is open to any school in the country. This year, it attracted 222 entries from 22 universities from the United States and Canada. Judges included publishers, editors and writers for consumers and special business magazines. They honored The Local for its overall look and quality of the magazine and cover, along with the quality of stories and designs. “I’m really excited for those students who got recognized for their hard work, who displayed a lot of dedication for creating a top-notch product coming from Samford University,” Samford journalism and mass communication professor and competition sponsor Clay Carey said. All winners will receive certificates at the AEJMC conference award ceremony August 11 in Chicago, Illinois.